More details have surfaced surrounding the death of fitness model George Plitt, who was struck and killed by a train in Southern California on Saturday afternoon. Friends of a fitness model and actor who was hit by a train and killed while making a video said that he was a bold and fearless person who just made a rare mistake. "It was just a freaky moment where something got out of control," said Warren Coulter, who had been friends for 15 years with 37-year-old George Gregory Plitt Jr., who went by "Greg." 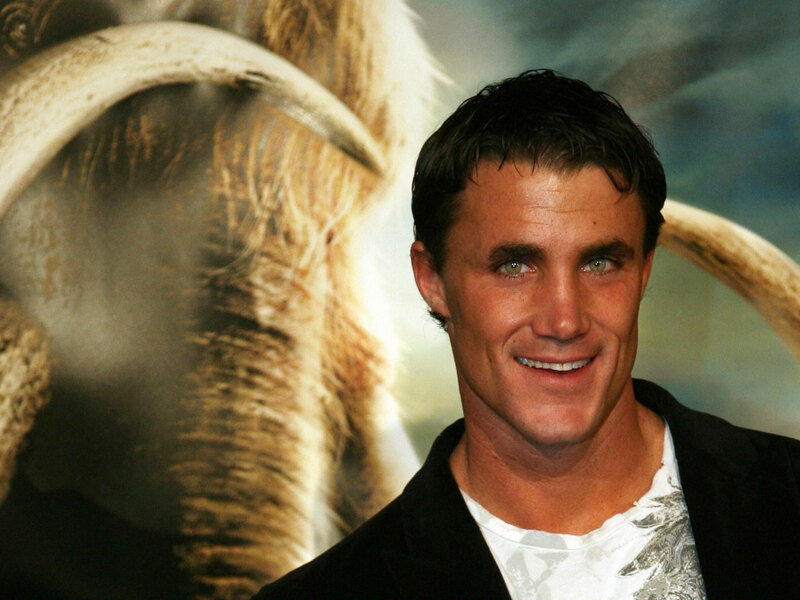 Plitt, among the more recognizable faces and physiques in the fitness industry, was shooting a video for his website with two crew members when the Metrolink commuter train hit him Saturday afternoon in Burbank, authorities and friends said. Coulter told The Associated Press that Plitt was a West Point graduate and Army Ranger who had jumped out of planes more than 1,000 times in his life and had a taste for the extreme, but also treated everyone and everything with respect and care as befitted his military past. "Everything Greg did, he did extremely well," Coulter said. "This isn't anyone who ever took a nap." Coulter said he spoke to members of the film crew and says Plitt misjudged the situation and tripped and fell before he was hit by the train. TMZ cites sources who say he just couldn't get up in time. "No question of it, it was just a mistake," Coulter said. Investigators have ruled out a suicide, and were trying to determine who directed the men to film without a permit in a restricted area of the tracks Saturday afternoon. They have interviewed witnesses who saw Plitt standing on the track even as the train's horn was blaring, Burbank police Sgt. Scott Meadows said. A photo has surfaced showing what appears to be George Plitt on the railroad tracks shortly before he was hit. KTLA in Los Angeles obtained the picture, which shows a shirtless man by the railroad tracks. Metrolink spokesman Scott Johnson said Monday that the Los Angeles-region commuter train system tries to warn people when it sees they have posted images or videos of themselves on its tracks, but he didn't know whether Plitt had been contacted in the past. Walking on tracks is trespassing, Johnson said. "The tracks are for one thing -- trains," he said. Plitt's girlfriend, Christina Stejskal, cried when she told the Los Angeles Times that as always he was "just trying to get the best shot" when he was hit. "He wanted to push things to the limit," Stejskal said. "He's just like Superman." The actor and West Point graduate has appeared on more than 200 magazine covers, Bravo's reality television show "Work Out" and "Friends to Lovers" and NBC's daytime soap opera "Days of Our Lives," according to a website in Plitt's name. A motivational video on the website shows Plitt working out on the tracks as a Metrolink train passes by.